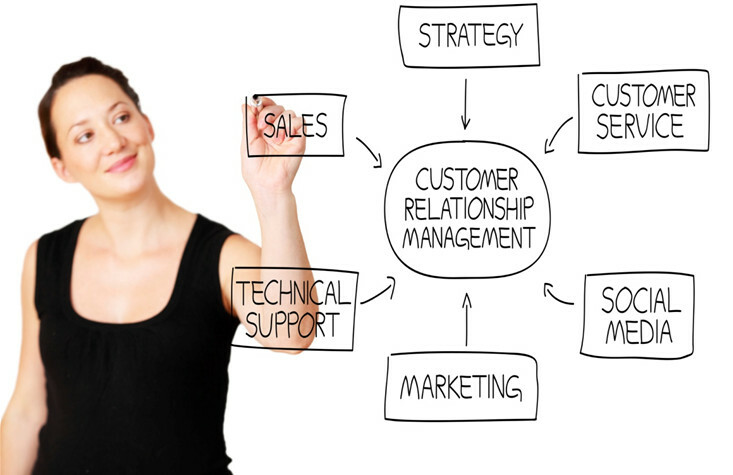 CRM, which stands for Customer Relationship Management, has been acknowledged to be a powerful and valuable tool in boosting businesses profitability and efficiency by means of building a good relationship with their customers. Thus, opting for quality and trusted CRM software is a must to help your business raise its productivity. To help you keep away from the mistakes of purchasing CRMs, we are sharing the following guidelines that you might want to tag along while you are selecting CRM software: Choose a trusted provider It is indeed very significant to pick a CRM provider with a dependable reputation and established service records for delivering premium products and assistance in your business. Meaning, it is recommended to pick a service provider that has been in the industry for a long time, as it is better to go with a provider that has been around for years with a reputable client base than the ones that has just started to work in the business. You might also want to perform a research about the provider’s regular clients and enquire for references and suggestions concerning the vendor’s assurance to good products and services. Recognize your needs in advance Find out the major requirements of your business and confirm that you are completely acquainted on how the system suits into your industry work process. Avoid focusing on the cost or the software’s invaluable features; however, focus on its capability to hold up your business’s sole necessities. Be familiar with your data’s location Because most CRM system providers will store your data in third-party service providers, it is very important that you enquire where your data is being hosted and who is managing it. Always make it sure that you verify the vendor’s background for performance and dependability, as well as look for information about backing up data and recovering it. Opt for a scalable service provider While a lot of CRM sources are built for businesses that are not that big, there are tendencies that they will not carry out or extend well at an advanced performance. To stay away from the trouble and inconvenience of having the need to adjust and choose another provider after years, decide on solutions that have the proper resources and abilities to expand as your industry develops. Back-end integration While CRM might not be your main concern, CRM is an important tool to your business process, and surely, soon, you will need to incorporate customer data with your book-keeping or enterprise resource planning or ERP scheme. Meaning you will have to look for the one that provides an API for your present systems. Pick the best and treat them as a business partner To make your CRM system extra beneficial to your business, you have to look for a vendor who will help you every now and then. Prefer a business partner that has a reputable past performance of giving a great height of assistance. Not all FREE should be trusted High-quality service providers that will meet up with your expectations will surely not come up to you free and cheap. The distinction between a high-class, reliable provider and a low-priced one might only be just a few dollars per month, so be smart when investing your money on CRM systems. At BMC Solutions, they provide services on website development, graphic design, ecommerce website development, web hosting, SEO services, web content management system, and many others as dictated by your business needs including installing CRM systems into people’s business websites to gain more leads and profitability. Their main purpose is to provide customised solutions to fit business needs. BMC Solutions will minimize your expenses by getting the project done and providing cost-effective outputs right the first time as it maximizes your business potentials. For more concerns about website development, you may visit http://www.bmcsolutions.com.au/.